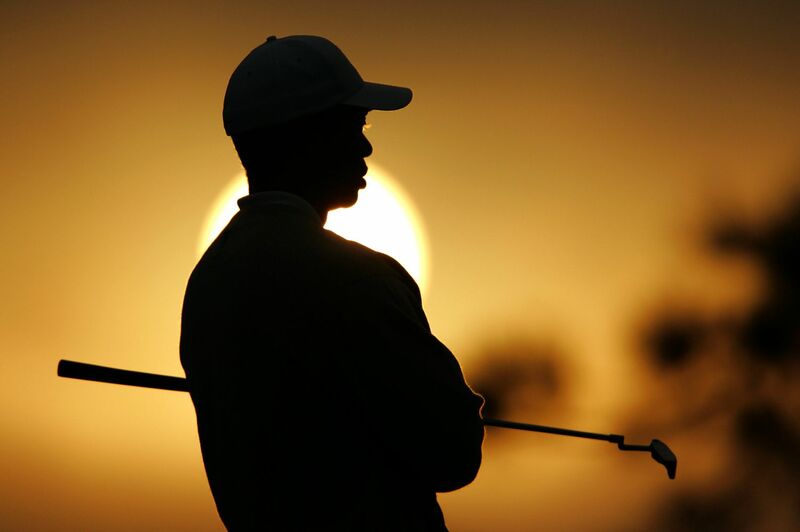 Tiger Woods lines up a putt as the sun sets at the end of a fog-interrupted day's play at the Buick Invitational. 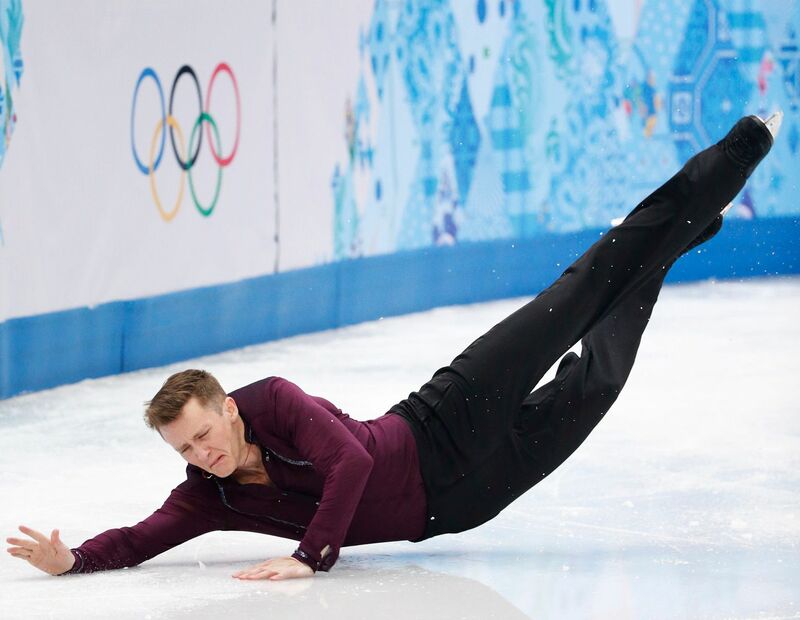 Anna Duskova and Martin Bidar of Czech Republic compete during the pairs short program figure skating competition at the PyeongChang Winter Olympics. 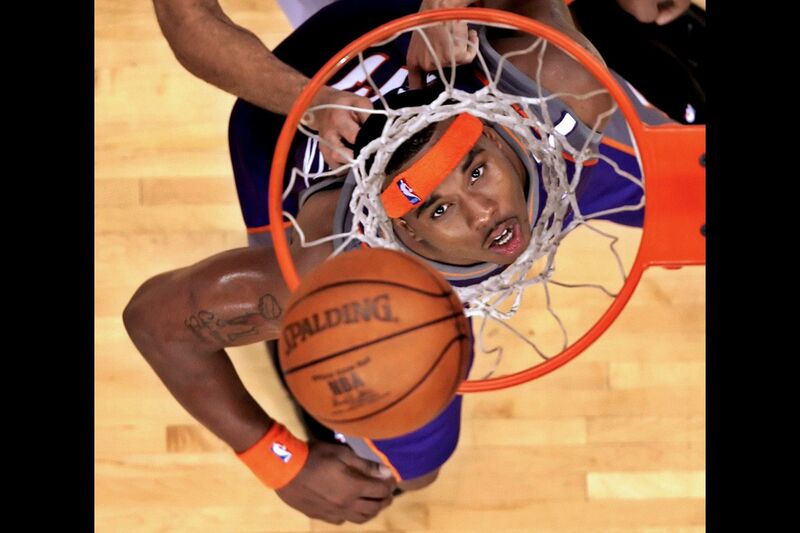 Phoenix Suns Quentin Richardson watches the ball hang on the rim during Game 4 of the NBA Western Conference Finals against the San Antonio Spurs. 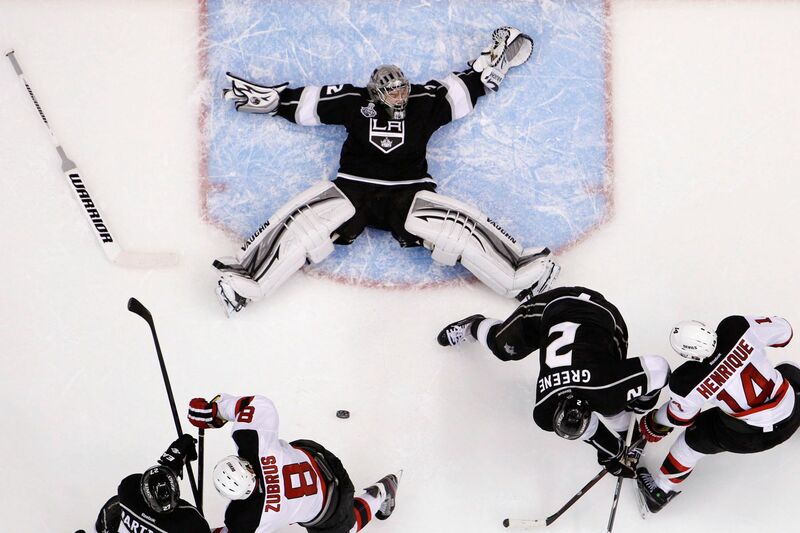 Los Angeles Kings goalie Jonathan Quick loses his stick as he lays on his back making a save against the New Jersey Devils in Game 4 of the NHL Stanley Cup hockey final. 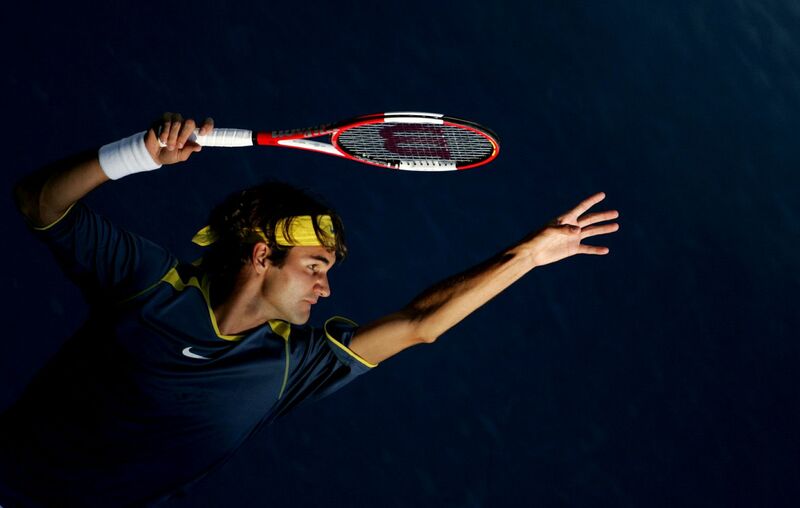 Roger Federer serves to Andre Agassi during the men's final at the U.S. Open tennis tournament. 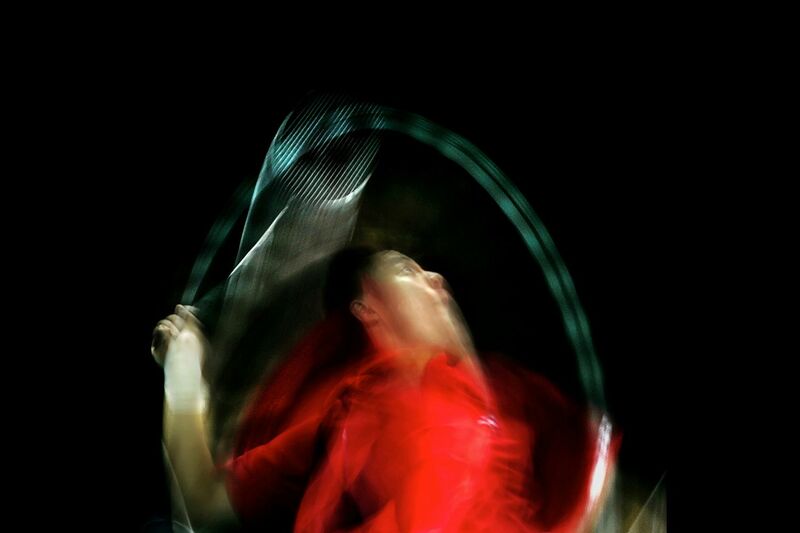 World number one player Lin Dan of China goes for a smash during the IBF World Badminton Championships. 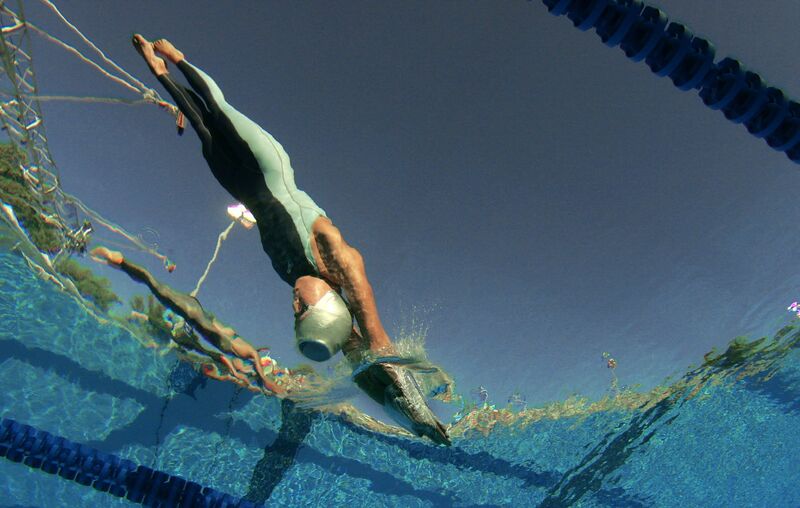 Natalie Coughlin dives in for the women's 100m freestyle final during the USA Swimming National Championships. 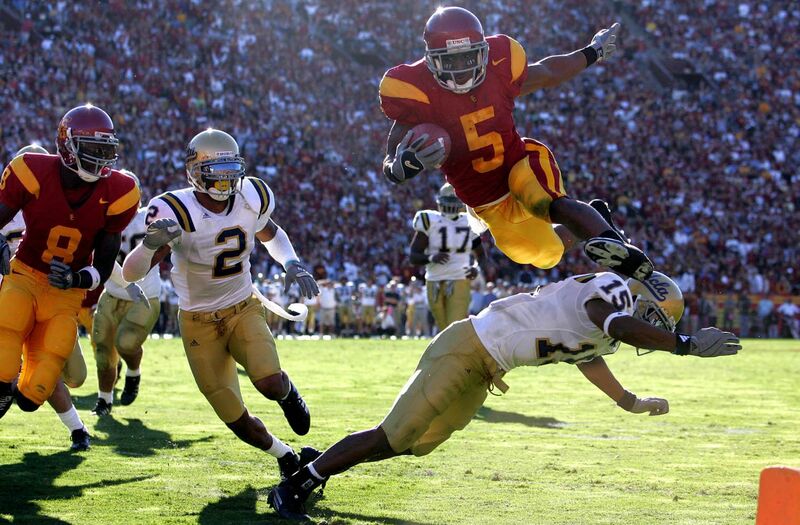 USC's Reggie Bush leaps over UCLA's Marcus Cassel to score a touchdown in Los Angeles. 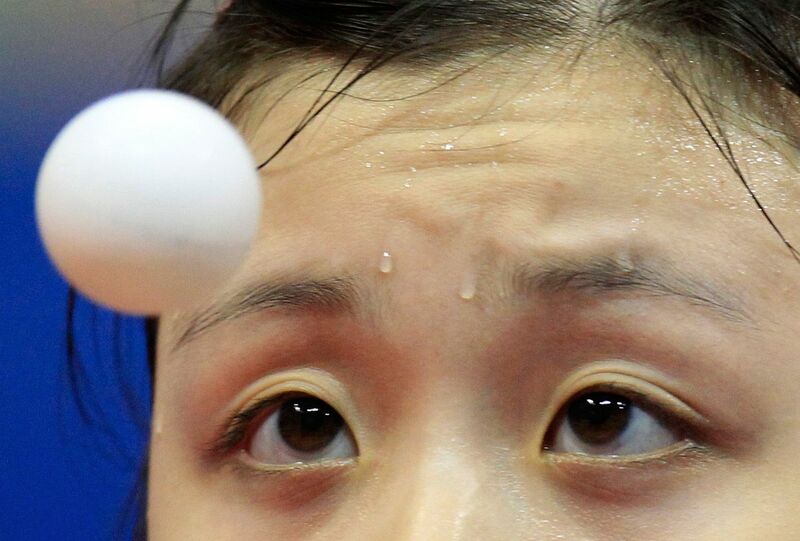 Ariel Hsing of the U.S. serves during her table tennis match at the Pan American Games. 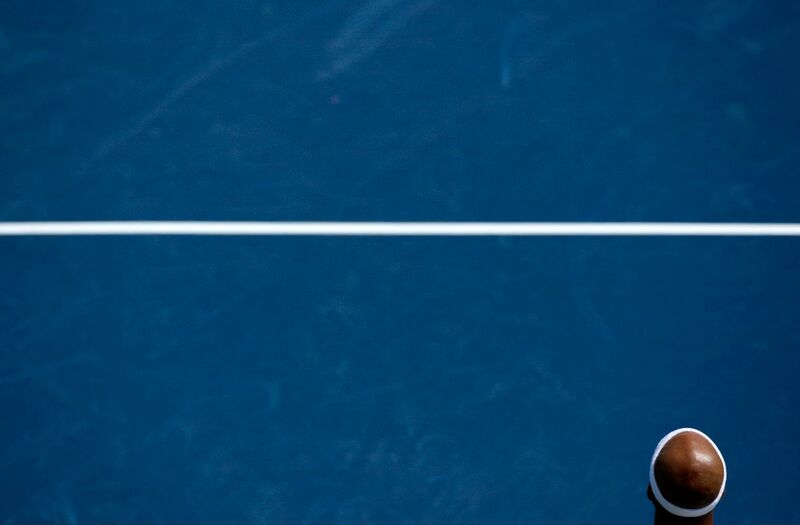 James Blake waits to serve during the final of the Los Angeles Classic tennis tournament. 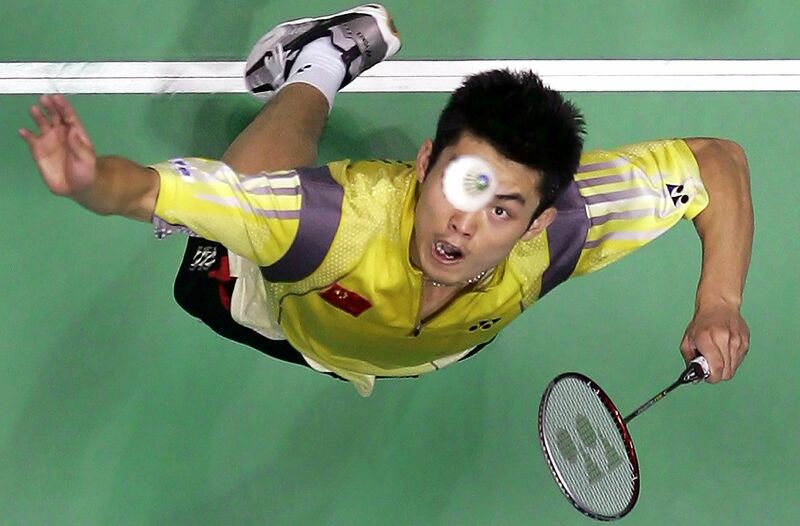 Xie Zhangba of China jumps for a smash during the semi-finals of the IBF World Badminton Championships. 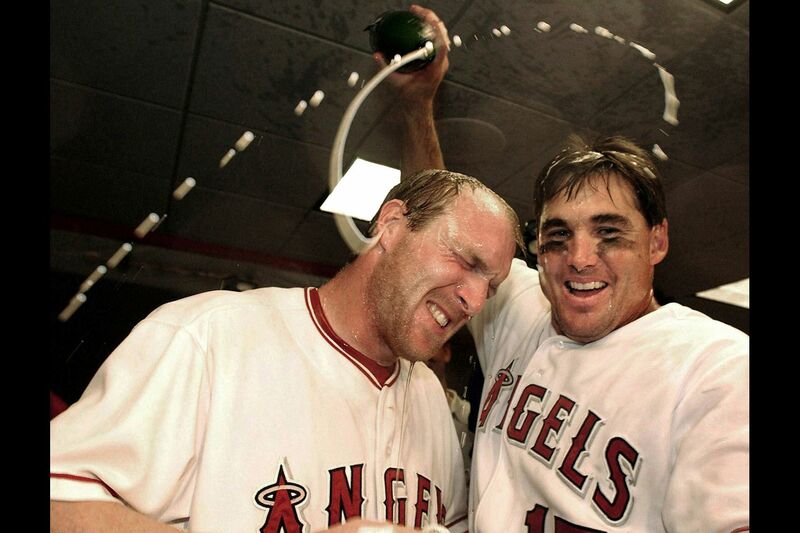 Anaheim Angels Tim Salmon (R) and Darin Erstad make a halo in champagne as they celebrate victory over the New York Yankees in the ALDS. 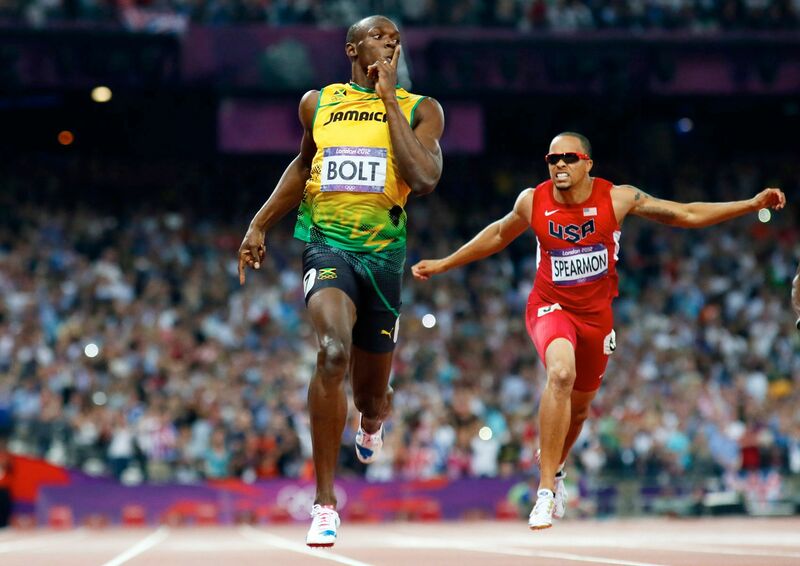 2002 MLB Baseball Hall of Fame photo contest winner. 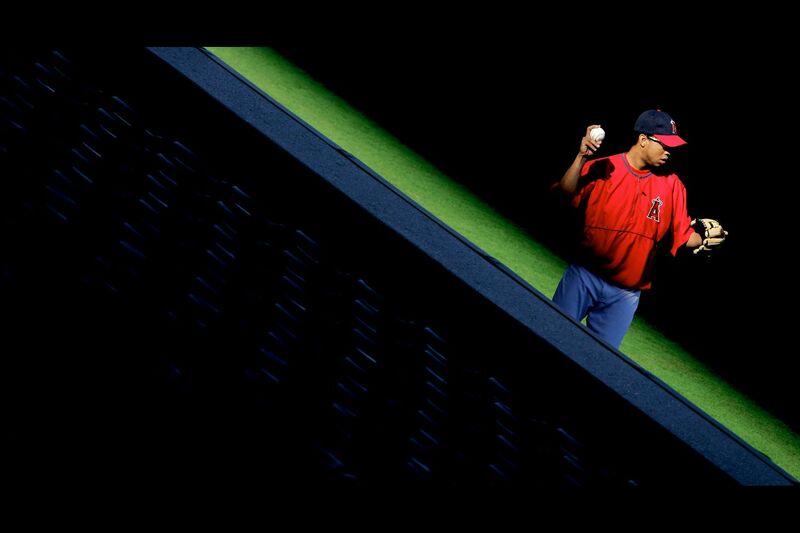 Los Angeles Angels closing pitcher Francisco Rodriguez warms up before a game. 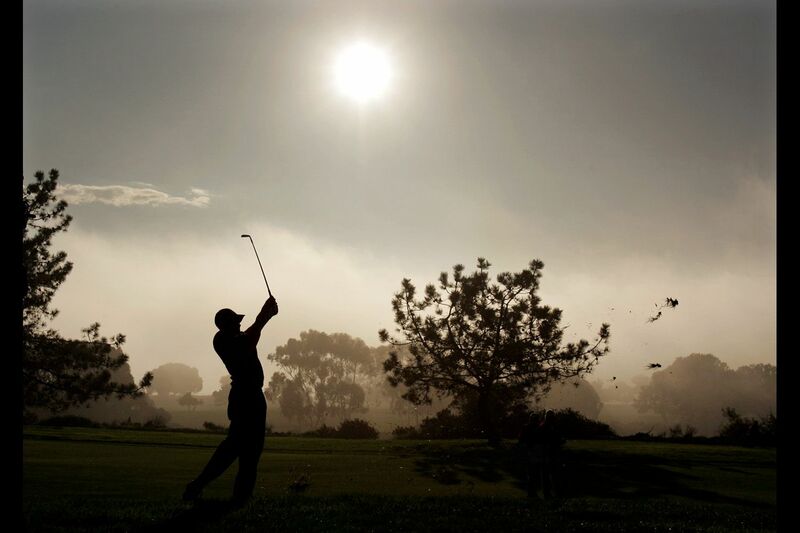 Anaheim Ducks Paul Kariya crashes into New Jersey Devils goalie Martin Brodeur as he tries to score during Game 6 of the NHL Stanley Cup Finals. 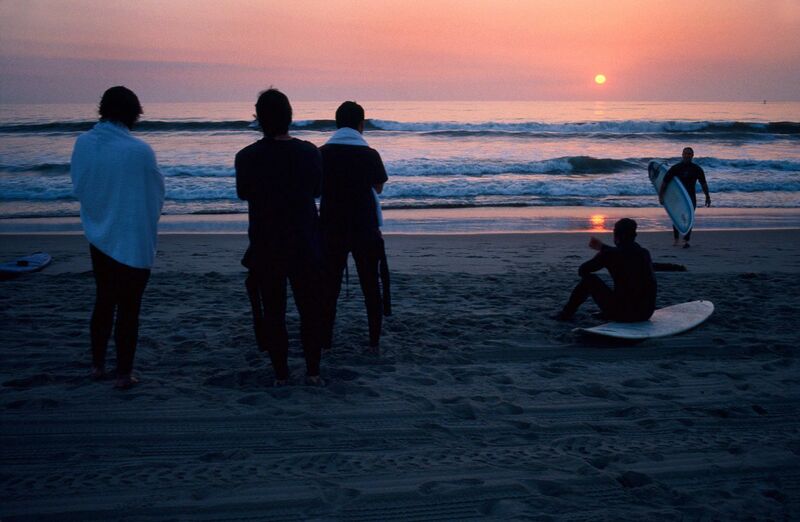 Surfers watch the fall sunset. 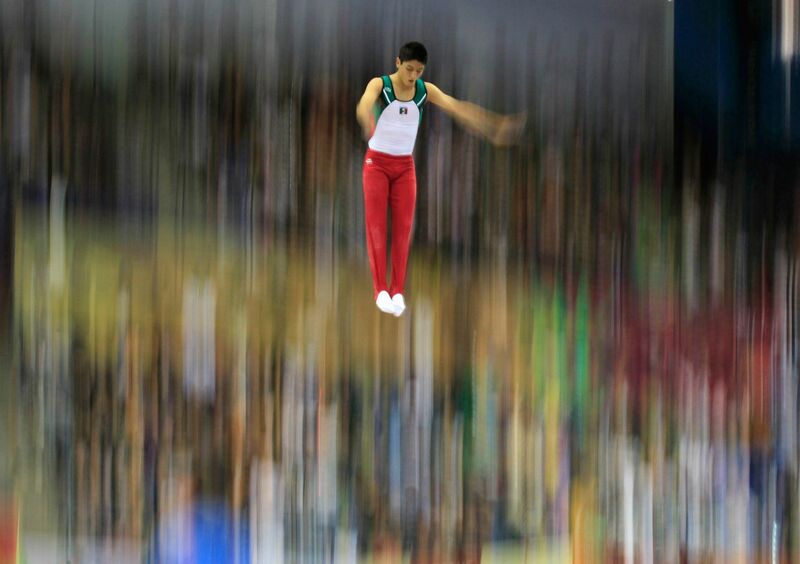 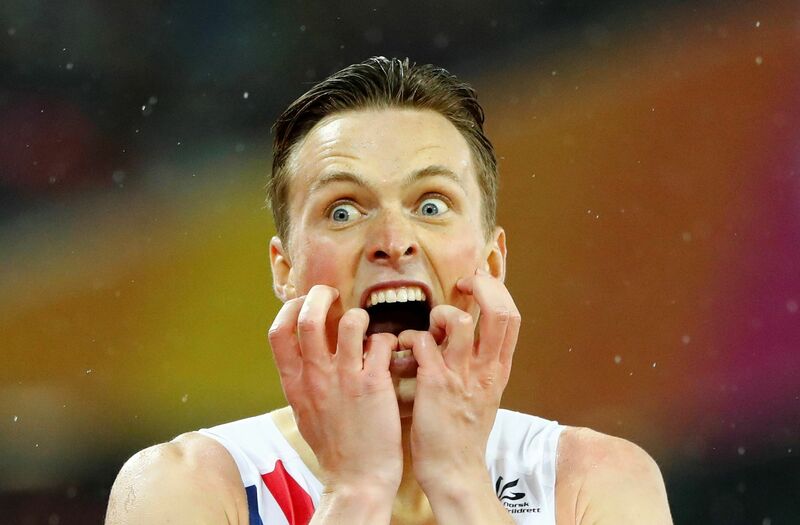 Jose Alberto Vargas of Mexico competes in the men's trampoline competition at the Pan American Games.